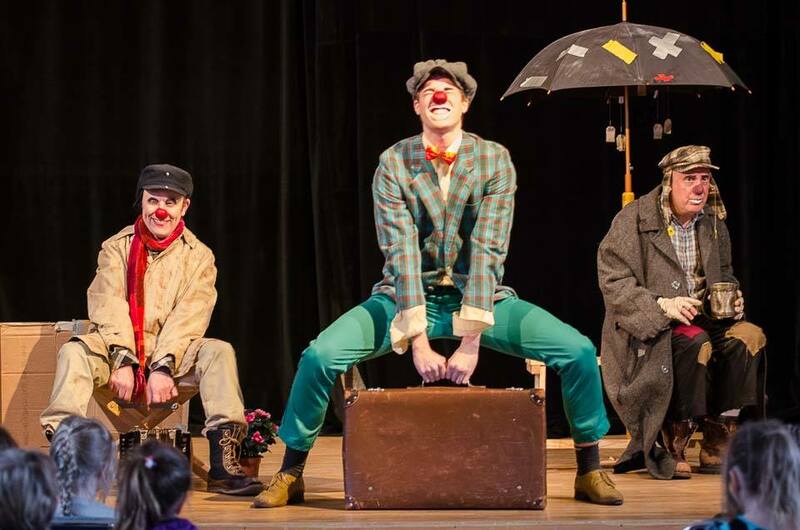 A clown performance about bullying and best friends for children between 6 and 12 years old. Welcome to a home consisting of nothing more than an umbrella with tea bags and enjoy a story of alienation, bullying, but most of all about friendship. The hermit living in his own world with only one company in the form of his musical neighbor in a box next to it. His life is turned upside down when he receives an unexpected visit from his energetic cousin and a hungry dog. After the show, we have a discussion with the children and teachers about bullying and friendship. The clown Epin tries to be a magician with mixed success. Vicko assists him but also faces failures. Despite all the problems, they are happy and don’t give up trying to entertain their audience. 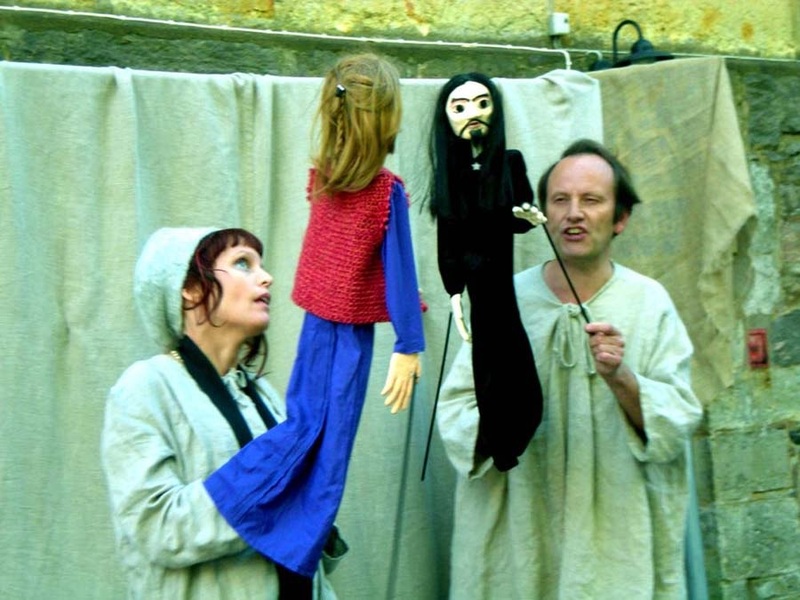 An adult puppetry performance about dreaming on a better world. 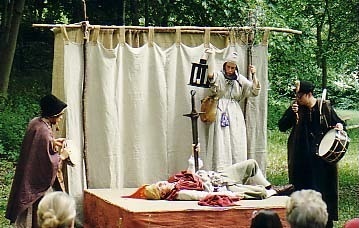 "In a village of La Mancha, whose name I do not want to remember, lived not so long ago a poor noble of the type having a lance and an ancient shield on the wall. " So begins the story of Don Alonso Quijano who in his imagination, go out into the world as a knight-errant in search of adventure. About relationships between strangers on a bus stop and the everyday stress. For the whole family. In today's modern society there is a lot to do, The bus is one of these things. One goes to work, to the store, the family. There are so many destinations we have in life and the bus is one of the means of transport that will take us there, hopefully. But what do we get from constantly chasing after the bus? Yes, stress. And the stress is rarely good for us, neither mentally nor physically. 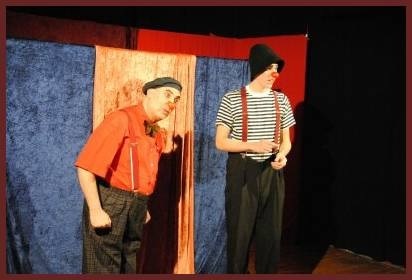 An original and entertaining clown show that offers a lot of humor. 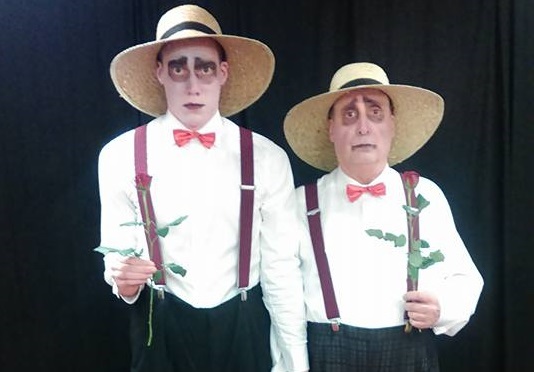 A performance for children as well as adults with many very funny numbers. 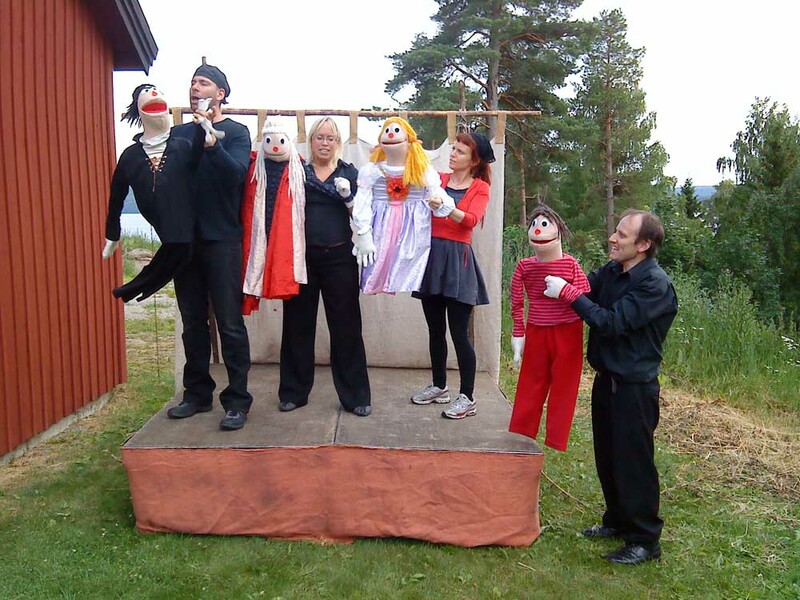 Our clowns have performed in Sweden, Denmark, Estonia, Lithuania, Switzerland and England. WE ALSO PERFORM AT CHILDREN'S PARTIES !!!. 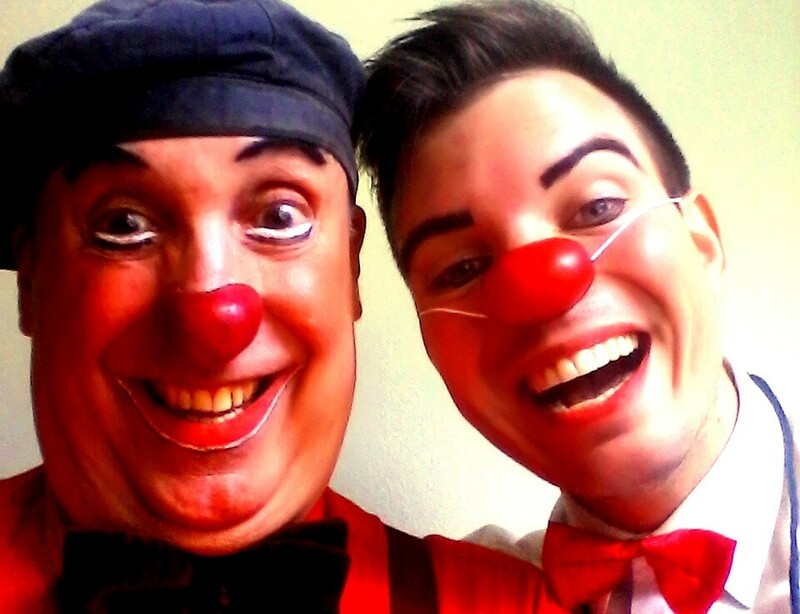 Miss Elvira and Epin, these clowns come to your event and perform or mingle. We have entertained cancer sick children and their family at Ronald MacDonald's house in Uppsala, but our program is suitable for all children. 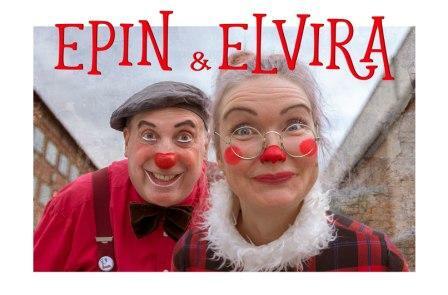 "Epin and Elvira are a fun break in an dificult situation, they are easy-going, fun and make the children participate and laugh. It's really needed when you're away from home, from relatives and friends for a long time. So much appreciated visits by both children and parents "
We want to focus on refugee children. Children are children, whether they are refugees or Swedes, and we have the same obligation to take care of them. Many of these refugees have been in a terrible situation during their flight from war in their countries of origin, we want to give them the opportunity to forget about these problems for a while with our games and performances. Our idea is to work with the kids through mingling, games and simple acrobatic exercises. 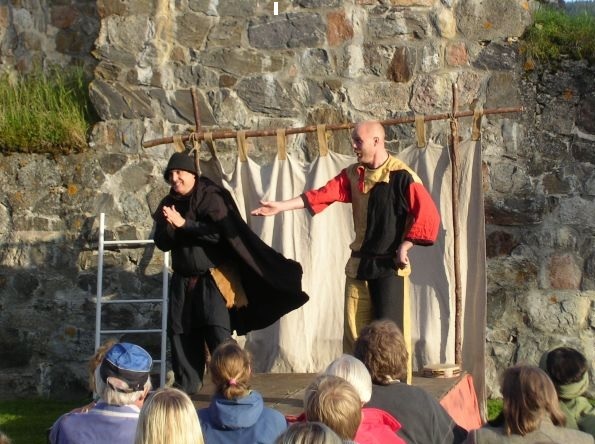 We perform without words so that everyone can understand and the instructions for the games and exercises are easy to take even for those who do not speak Swedish. Everyone in the group has worked with children in different contexts and we have been on behalf of Clowns without Borders in the refuges homes when we performed and mingled with the children who lived there. We have also entertained cancer sick children and their family at Ronald MacDonald's house in Uppsala. Finding your own clown. To build a clown figure with yourself as a starting point. Being able to turn the most embarrassing personal experiences into a comic event. 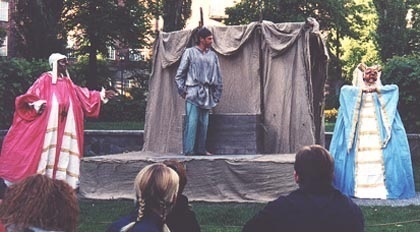 The audience laughs at the clown because they recognize themselves in the little exposed person. Being able to create a comic character with different starting points and develop it by putting the character into different situations. The course includes improvisation, physical form, character analysis, etc. Are very grotesque characters with a strong exaggerated look that always works in groups and questions everything that people take for granted. 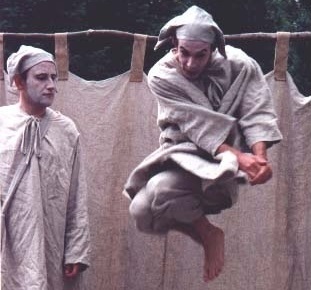 Comparing them with clowns, one can say that the audience laughs at the clown, but Bouffons laughs at the audience. 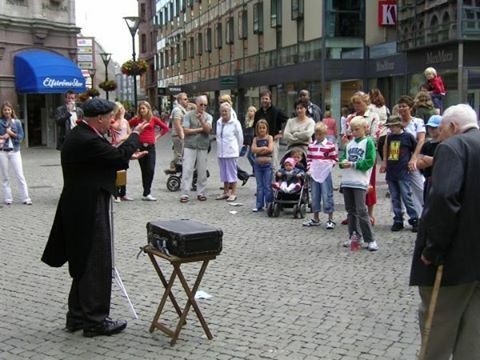 Performing on the street sets quite different requirements than performing in a closed hall, one has to draw the audience's attention and keep their interest despite traffic and other disturbing factors. We go through technology to achieve this. 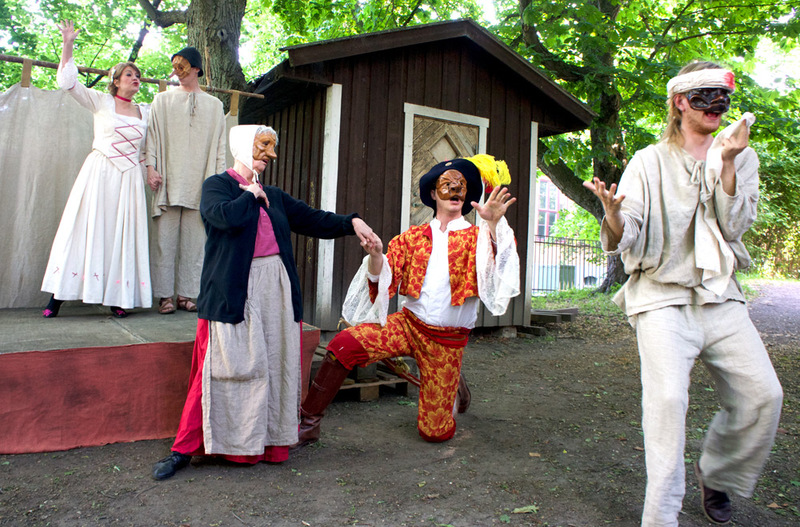 What characteristics do the play and actor need to have in order to succeed outdoors? People have always been fascinated by stories. In this course we go through not only articulation and voice use but also how to use different objects or one's own body to illustrate the story and make it more interesting for the listener. 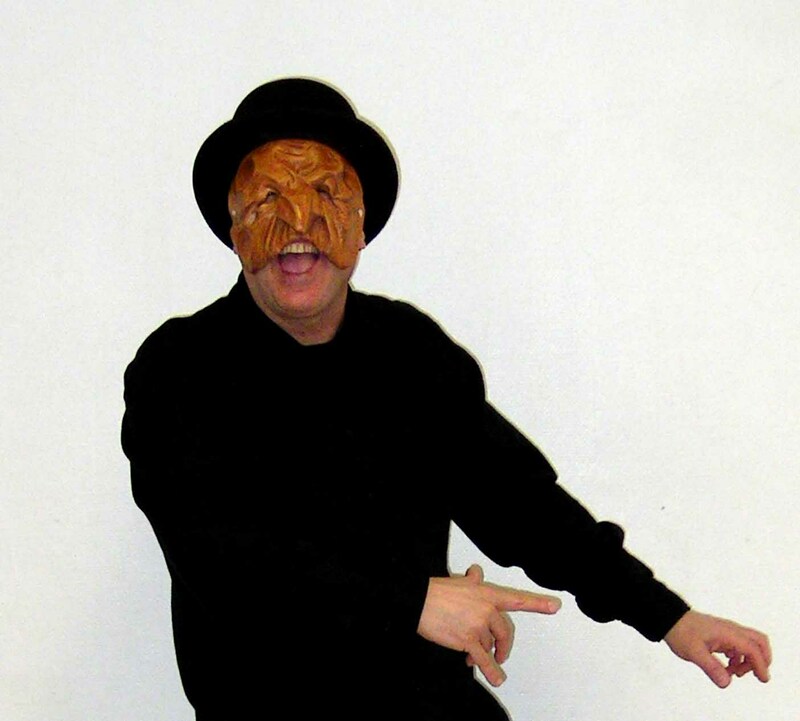 We go through different masks: from the neutral mask that develops body consciousness through different character masks where we learn to find the mask's body and movement, to the half mask where we also find the voice of the character. 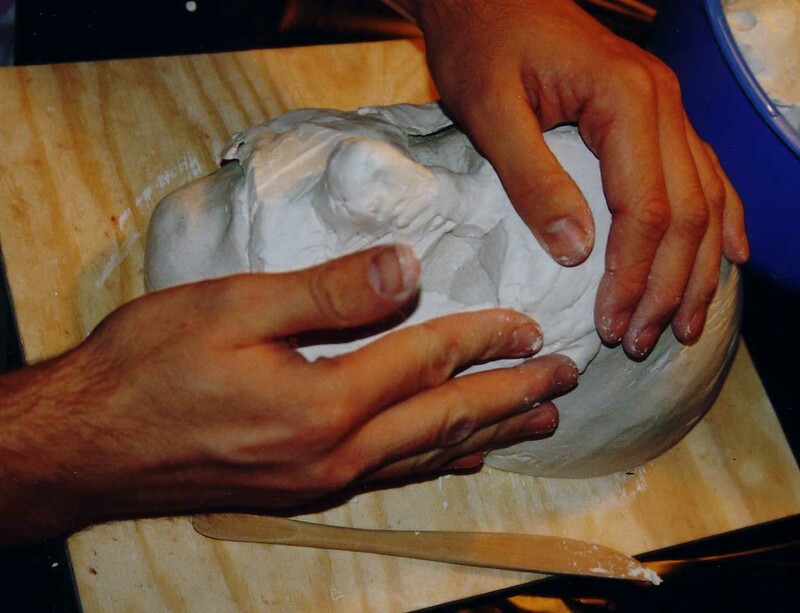 A course on how to plan and sketch a mask that works on stage and about different materials and techniques to build masks for the stage. The materials we use are paper marché, gauze and glue and leather and we go through different techniques like positive and negative form, gypsum casting, leather work, etc. 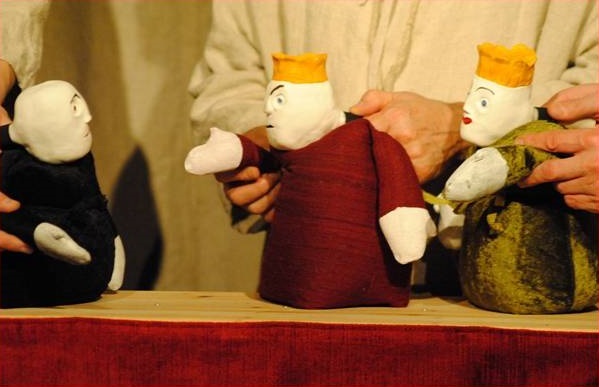 A course on materials and technology for making different types of puppets and learning to perform with them. 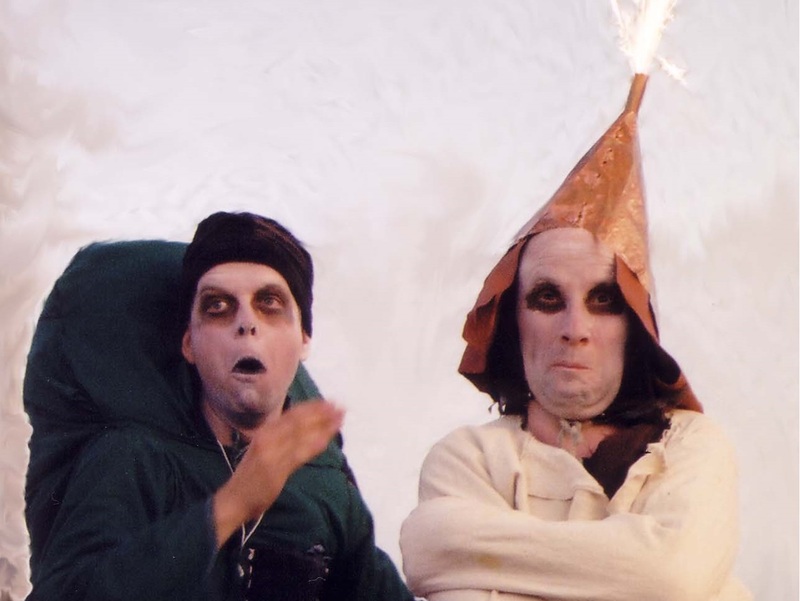 We go through marionettes, handpuppets, rodpuppets, bunraku, etc. And how to build a stage for each type of puppet. 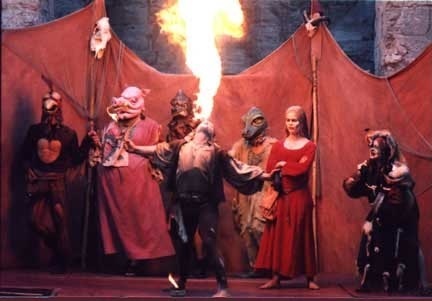 Performing technique and character gestalting in this old but very alive performing tradition. 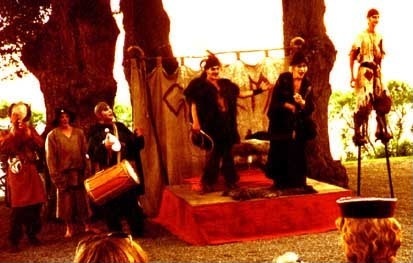 We go through the most important characters in Commedia dell`Arte, their body posture, movement patterns, character traits and performing techniques. 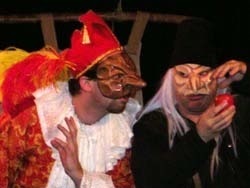 We also make a theoretical review of Commedia dell'Arte's history. 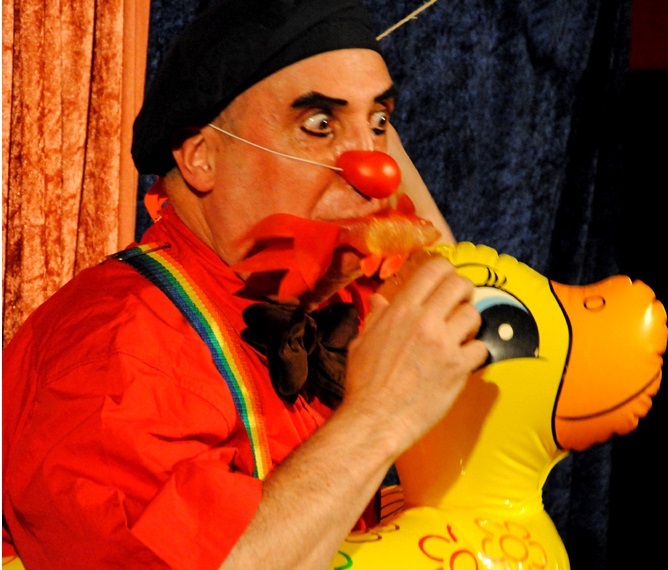 Augusto has long experience in Commedia dell' Arte, mask performance, puppetry, stage production, clown, anticlown, bouffon and much more. 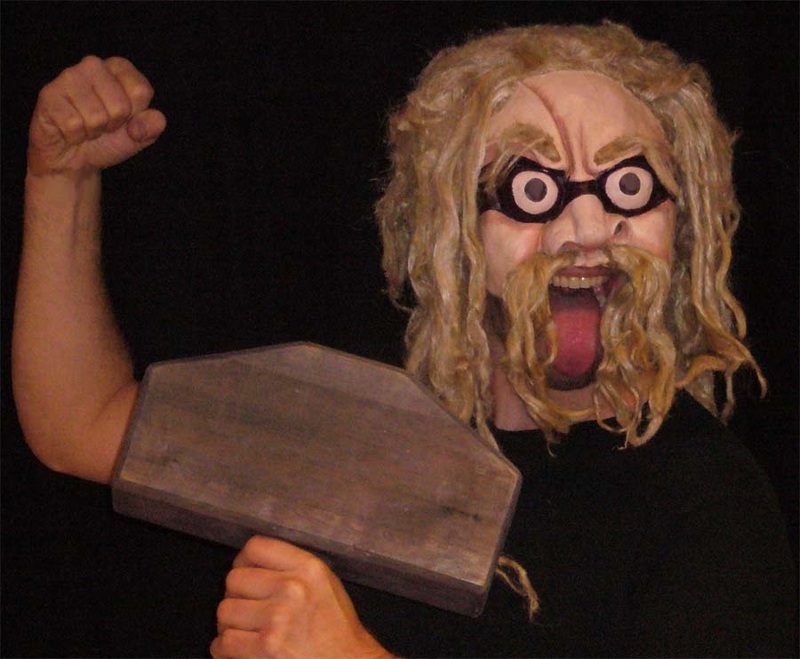 He is also active as an actor, director, and mask and puppet maker. 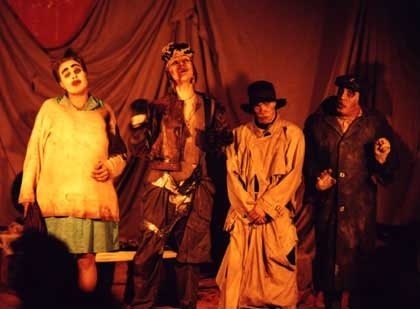 Augusto is educated in art and theater in Peru and Brazil, but also in Italy (Commedia dell' Arte and Leather Mask for Donato Sartori), at the Odin Theater in Denmark (director), at the Dockteater Institute of Mikael Meschke, etc. 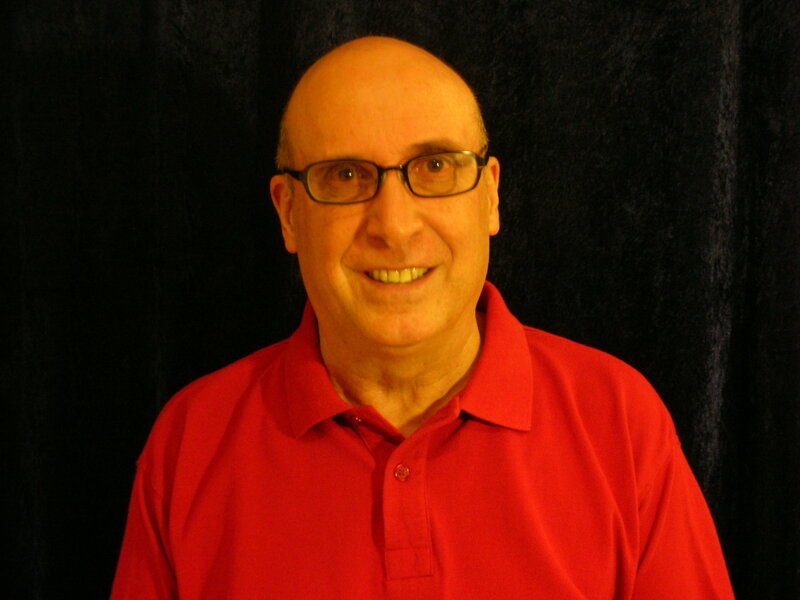 He is the artistic director and director of Commediagillet, which he founded in 1995. 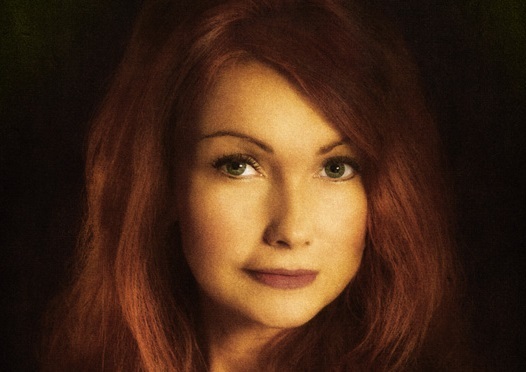 AnneLee has worked as an actor since -99, when she graduated from Folk University's Theater Academy. She has then been trained in Sweden and Beverly Hills, L A. 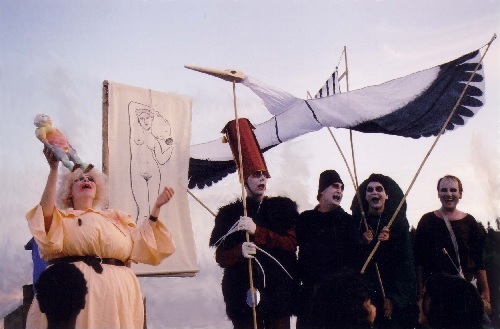 She has worked with touring children's theater (Ten Feet) and self-produced plays with her group Tornet Productions. She has been commissioned by the Criminal Care Act as an actor and dramacoach and worked as an actor in the Defense and Police Law School's programs. Participated in SVT, among others The Denounced, with Rolf Lassgård, Pia Green et al. Started early in life to learn to play different musical instruments. 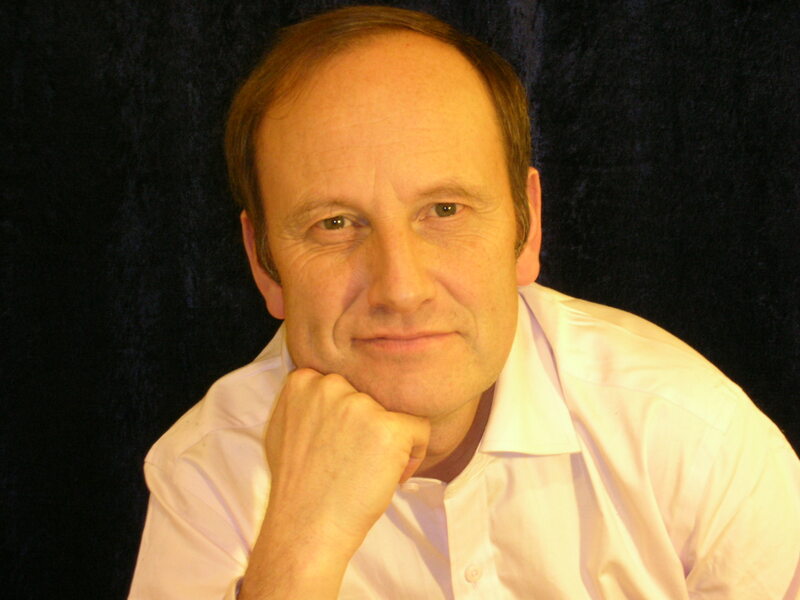 Educated to be a musician and at the same time began to perform as a singer, took vocal lessons for, among others, the Opera Singer and teacher Arne Ohlson in vocal and speech care. With the song, he noticed that he had fallen for theater and went to study at Folk University and Stockholm Theater Institute. Started in 2001 at Commediagillet. 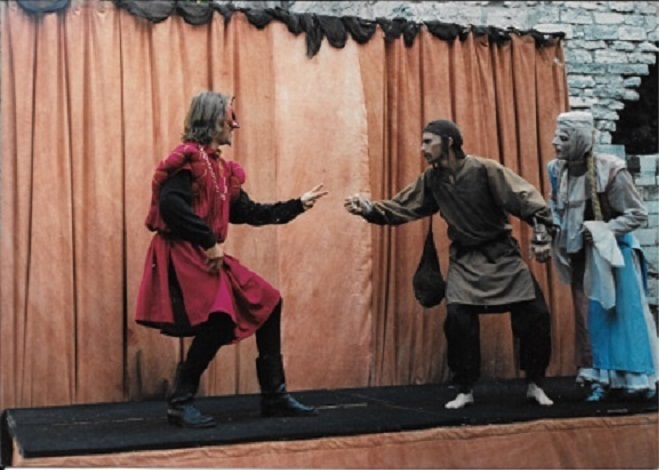 Morgan has done many things in Commediagillet's performances, been juggler, mask and puppet player as well as clown and played and composed own music for their plays. 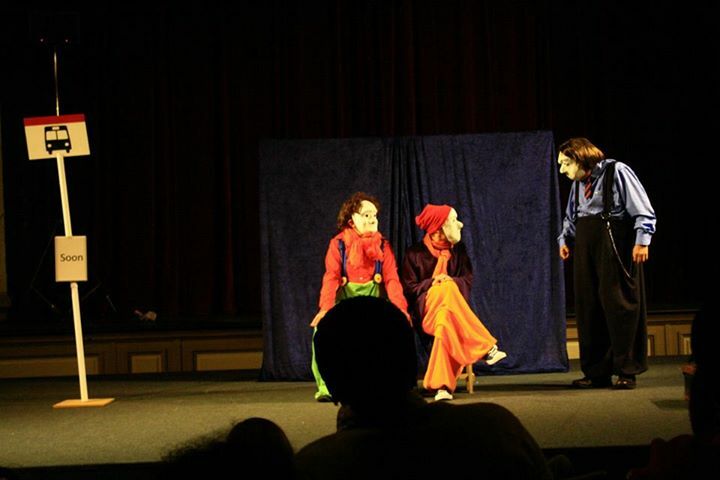 Esse came to Stockholm from Halland a few years ago to study at the Stockholm Elementary Theater School. After the studies, Esse has been everything from actor to coffee maker at the theater. 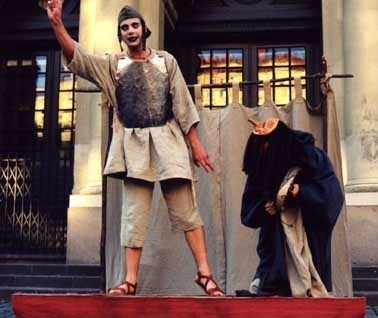 Through his interest in clown & commedia, Esse contacted Augusto to learn more about this topic. Esse is also studying classisc singing. 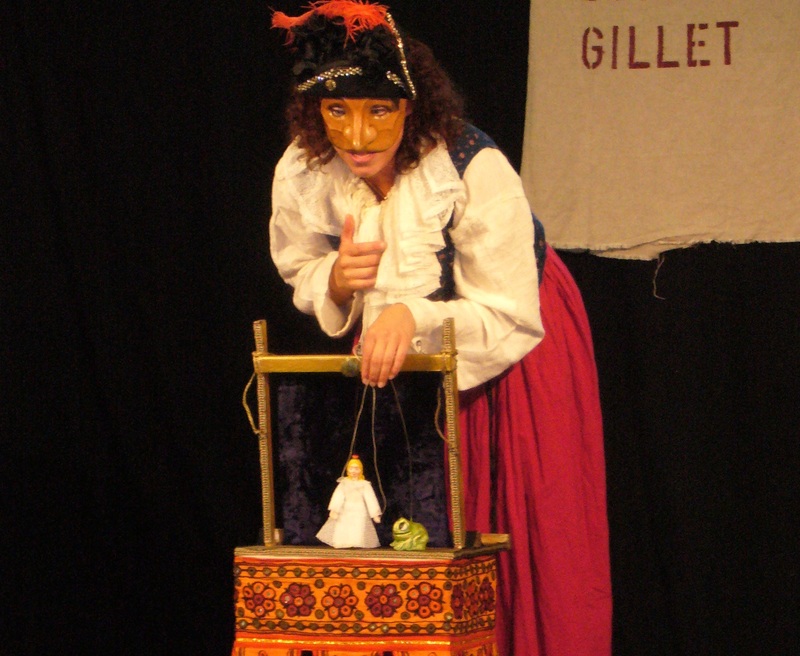 Commedia Gillet is Mask and Commedia Centrum's official Theatre company in Stockholm, Sweden. 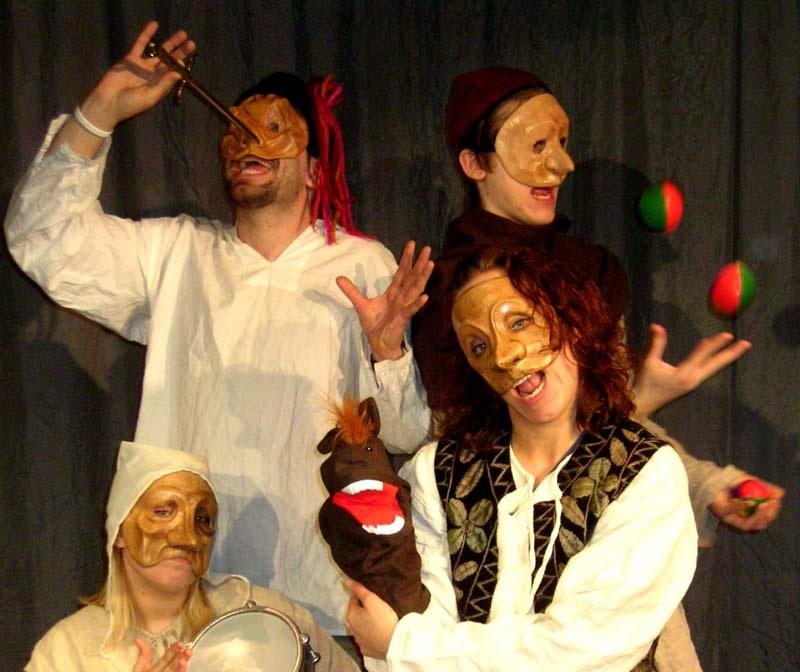 We work with Masks, Puppets, Jesters and Commedia in our productions in searching for a visual theatre language that will make you laugh and wonder. 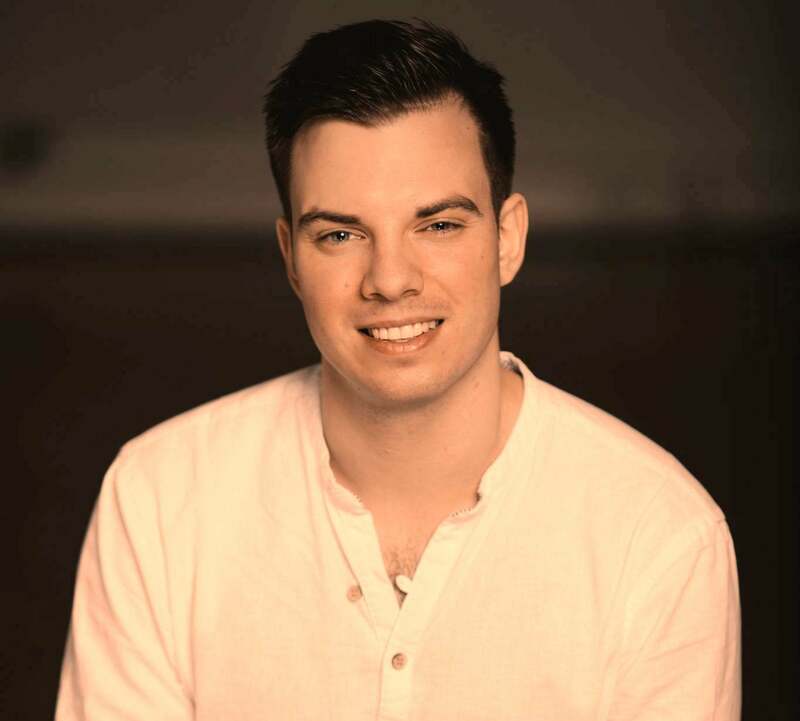 Victor has played music from an early age and always been on stage, mainly singing. 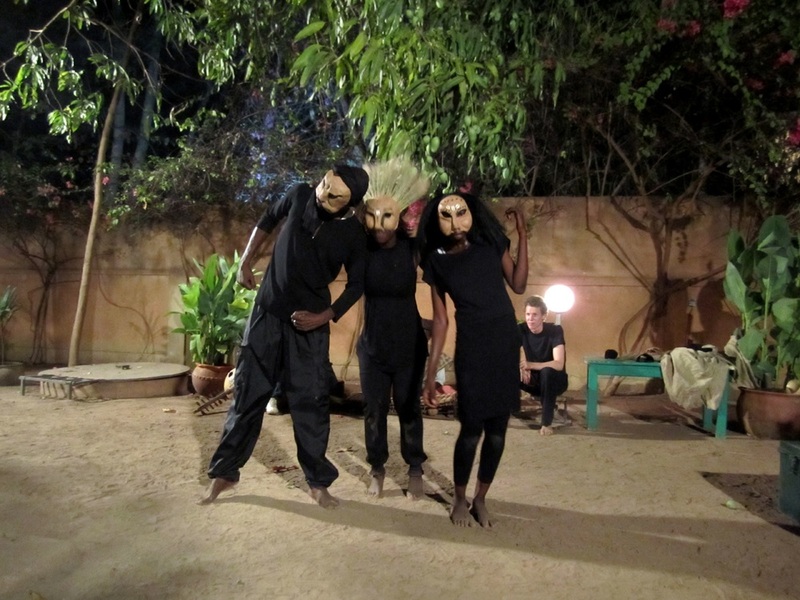 A couple of years ago the interest for theatre peaked his eye and the motivation to tell stories to an audience grew. He went to stockholm elementary theatre school year 2017.